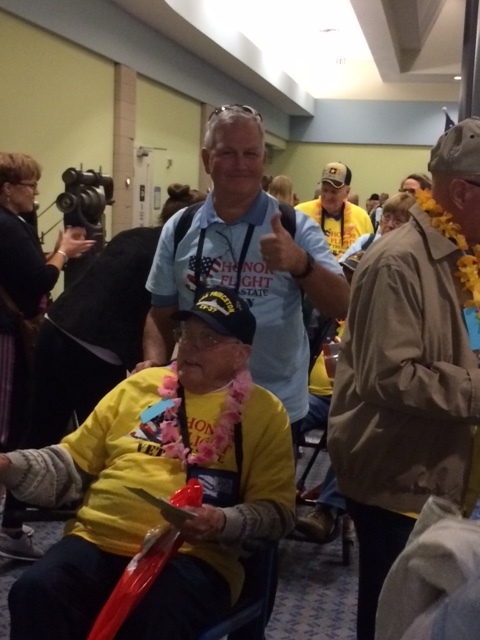 On Tuesday, October 25, CABR Past President Tom Hasselbeck participated in Honor Flight Tri-State as a guardian. Honor Flight strives to fly as many WWII and Korean War Veterans to visit their memorials in Washington D.C. Each Veteran participates free of charge with a guardian. Hasselbeck is pictured here with his neighbor, Lewis Powell. Powell served in the Navy for two years right at the end of WWII. He was in boot camp when Hiroshima, Japan was bombed. Hasselbeck served as Powell’s guardian for the trip. It was an amazing opportunity for both. Click Here for more information about Honor Flight Tri-State.